Those were the words from General Motors CEO Mary Barra, who yesterday fired 15 people – more than half of them top executives – following an internal inquiry into a recall of cars with a faulty ignition switch. The decade-long recall has been linked to at least 13 fatal crashes and eventually led to the recall of 2.6 million Chevrolet Cobalts, Saturn Irons and a number of other models fitted with the faulty switch. Announcing the findings of the internal report, Barra said she had fired numerous people and disciplined five others, after concluding they were responsible for the “pattern of incompetence and neglect”. In a global town hall meeting addressing the internal report and its findings, Barra said former US Attorney Anton R. Valukas had found no internal, deliberate cover up by the company in relation to the recall. Rather, Barra blamed a break-down of company culture for the 11-year “history of failures”, saying numerous individuals did not accept responsibility for what had happened. “The report highlights a company that operated in silos, with a number of individuals looking for reasons not to act, instead of finding ways to protect our customers,” she said at the meeting, which was broadcast live. 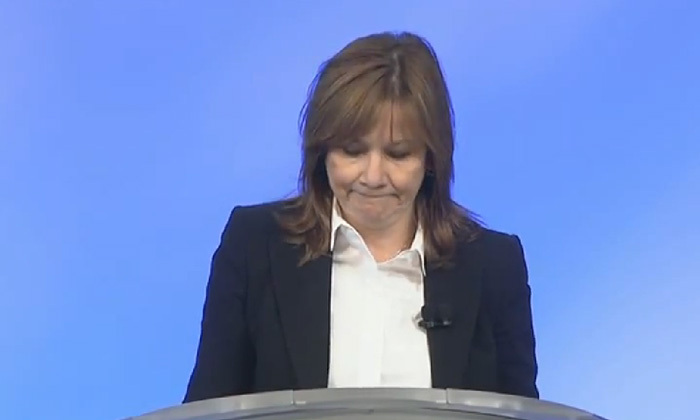 She also stated the findings of this report are not something GM should want to forget about, despite it being hugely damaging for the company and for everyone involved. She admitted it was difficult to fire the people involved – although she did not name them – but stated it was necessary to move forward. A more disturbing part of the report revealed the employees involved may have known about the issue but did not speak up. “If you are aware of a potential problem affecting safety or quality and you don’t speak up, you’re part of the problem,” Barra said. “And that is not acceptable. If you see a problem you don’t believe is being handled correctly, elevate it to your supervisor. Is your office a pressure cooker for cheating? The pharmaceutical and health sciences; as well as the media sectors are expected to see the highest increase in salary budgets fo..